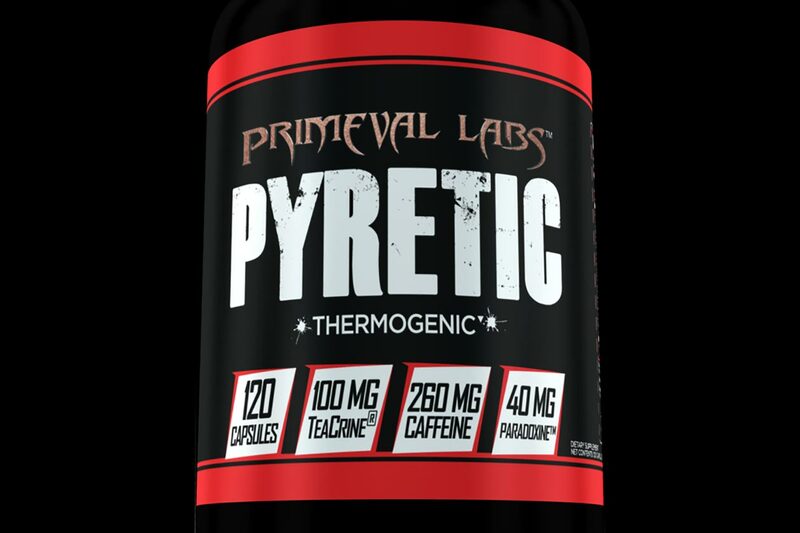 The latest supplement from the Stack3d Certified Primeval Labs has released this week with Pyretic Black, and as expected it features a fairly loaded fat burning formula. Ever since were introduced to the original Pyretic we’ve been huge fans and consider it one of the best weight loss products on the market, even though it is stimulant free. Pyretic Black is Primeval Labs’ more advanced version of Pyretic, and unlike the first version, it does feature stimulants for energy. Increased energy isn’t however where the list of benefits ends for Pyretic Black, as the supplement also aims to help with mental clarity, enhance metabolism, decrease stress, improve mood, and support overall weight loss. Like all of Primeval Labs’ Stack3d Certified products, Pyretic Black comes packed with a fully transparent formula, so you know exactly how much of each ingredient you get per serving. The list of features in the supplement is quite different from the original, mostly because as mentioned, it is no longer a stimulant free product. On the stimulant side of things Pyretic Black covers you with 100mg each of TeaCrine and regular caffeine, and 200mg of Infinergy dicaffeine malate. The rest of the label is made up of half a gram of green tea, 200mg each of theanine, rhodiola, and olive leaf extract, 300mg of gymnema, 100mg of cayenne pepper, and finally, 40mg of Paradoxine grains of paradise. Fans of Primeval Labs, as well as promising weight loss supplements, can now pick up Pyretic Black over on the brand’s official online store. Its regular price is around the same as the original Pyretic at $49.99 for a 120 capsule bottle which will last you 15 to 30 days depending on whether you use its regular or maximum dose of two servings a day. It is also worth mentioning that Primeva Labs has a couple of ways you can save on the newly released Pyretic Black with as much as $20 off. For a limited time, the brand has an automatic 15% discount, dropping the fat burner to $42.49, and you can get an additional 30% off with coupons like “S2N30”, taking it even lower to $29.75.